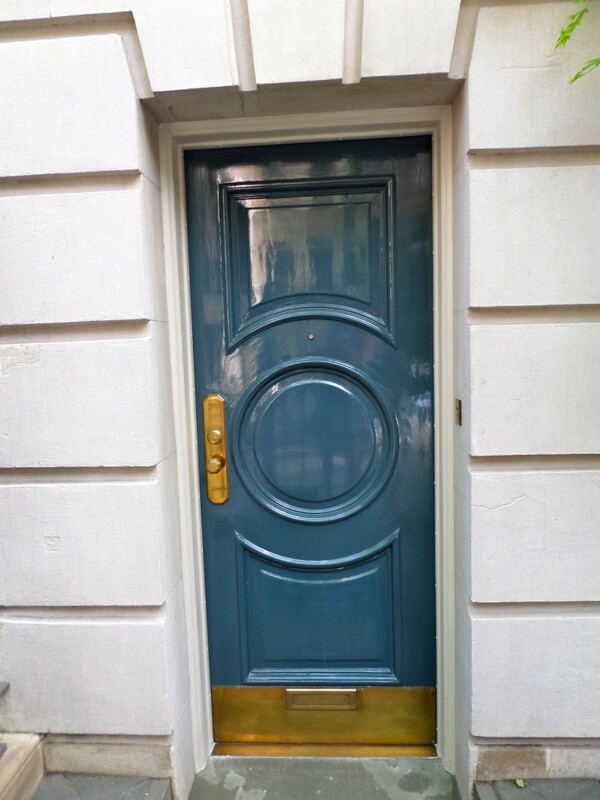 I love the idea of a high gloss blue for the front door. A nice preview perhaps of the blue and white Chinese porcelain inside. If you want this look use Fine Paints of Europe - Hollandlac Brilliant. Wish I knew where they found that front door. I looked everywhere for one like that when I decided to replace mine. I even looked at salvage places. There were none to be found. It looks great. Also, I used high gloss blue paint, and it didn't end up nearly that shiny, which is the look I was going for. I wonder whether they used varathane over the paint or something to get that high sheen?